With the availability of IaaSv2 in Microsoft Azure, several new features are available that dramatically change the way resources are deployed and maintained. One profound change is the introduction of three fault domains for IaaSv2 virtual machines as opposed to two fault domains for IaaSv1 virtual machines. In the case of Azure, a fault domain is basically a rack of servers. A power failure at the rack level will impact all servers in the rack or fault domain. To make sure your application can survive a fault domain failure, you will need to spread your application’s components, for instance front-end web servers, across fault domains. 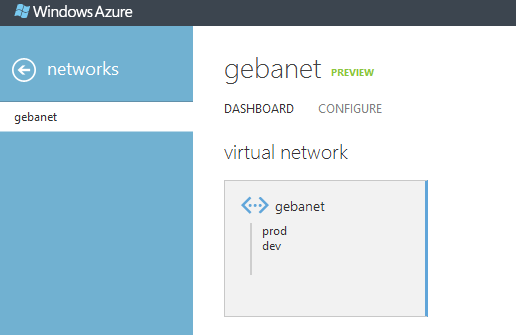 The way to do this in Azure is to assign virtual machines to an availability set. Upon deployment but also during service healing, Azure’s fabric controller will spread the virtual machines that belong to the same availability set across the fault domains automatically. As an administrator, you cannot control this assignment. If you deploy virtual machines in cloud services (IaaSv1 style), the maximum amount of fault domains is two which can present a problem. For instance, when you deploy a majority node set cluster with three nodes across two fault domains, it is entirely possible that the fault domain that hosts two of the three nodes fails. When that happens, the surviving node does not have majority and will go offline as well. For such deployments, three fault domains are a requirement to survive a failure in one fault domain. Follow the procedure located at http://msdn.microsoft.com/en-us/library/windowsazure/dn133792.aspx for creating the virtual network and the gateway. The above command creates a self-signed root certificate and stores it in your certificate store (Certificates – Current User\Personal\Certificates). Next, export that certificate to a .cer file and upload it to Azure from the dashboard of the virtual network using the Upload client certificate link (the name of that link will probably be changed in the future ) I also stored the root certificate in my Trusted Roots. my -a sha1 -is my -in "RootCertificateName"
The above command creates the client certificate in the same store as the root certificate and uses the root certificate previously generated as the issuer. 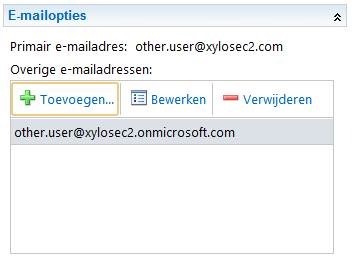 Be sure to check that the issuer is the root certificate you uploaded to Azure. I played around a bit with Windows Azure IaaS to see how it stacks up against Amazon EC2. We use Amazon EC2 internally for some test and demo setups that don’t always have to be running. As a practical test, I wanted to install a Windows Server 2012 domain controller in a subnet of my choice. It turns out that getting started is pretty simple. 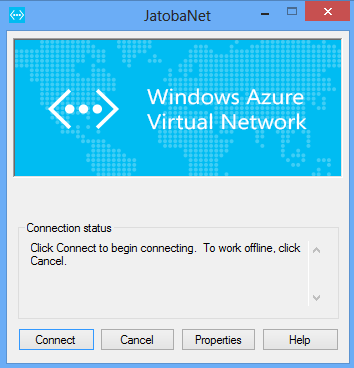 The rest of this post presumes that you have a Windows Azure account with the Virtual Machines Preview activated (go to http://www.windowsazure.com to get started). 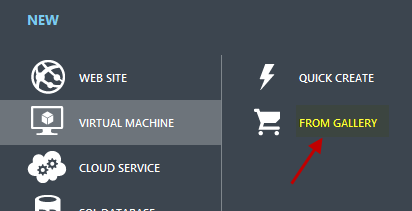 You can manage virtual machines from the new management interface at https://manage.windowsazure.com or with Windows Azure PowerShell (https://www.windowsazure.com/en-us/manage/downloads/). This post will not use Powershell. Sorry! The first thing I did was to create a new virtual network which also lets you create an affinity group. Affinity groups allow you to have some control over the location of components like storage in order to reduce latency for instance. To learn more about affinity groups, take a look at http://social.technet.microsoft.com/wiki/contents/articles/7916.importance-of-windows-azure-affinity-groups.aspx. Note that there are other ways to create affinity groups, but it’s easy to do when you create your virtual networks. I will not bother you with the details of creating the virtual network and just show the end result. I created a virtual network with two subnets: prod and dev. Note that there is more you can configure here. You can specify DNS servers that will then be handed out to your VMs using DHCP. 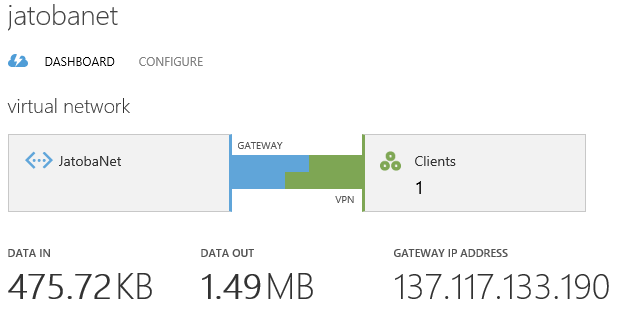 In addition, you can configure a connection to your on-premises network using a site-to-site VPN solution. Above, you see the boot disk of a virtual machine of 30GB. Files in BLOB storage have a maximum size of 1TB so VHDs are also limited to 1TB. Depending on the VM size, you can add additional disks of 1TB to a VM. The maximum amount of disks you can add today is 16 and you can stripe these inside the VM to a 16TB volume if required. 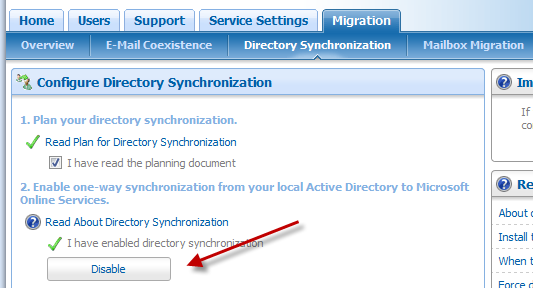 The cloud service’s IP address is automatically mapped to servicename.cloudapp.net so in the above example you would connect to servicename.cloudapp.net:50248 to connect to the virtual machine. The cloud service provides a view on the group of servers in the service. You can see the total amount of cores in the service, aggregated CPU utilization and more. Now we have a virtual machine running, what about its IP address? Virtual machines are automatically assigned an IP from the range that was specified in the virtual network assigned to the virtual machine. If you specified your own DNS servers, these will be supplied as well. If not, Azure DNS servers will be assigned. It’s important to know that IPs should only be assigned through DHCP. 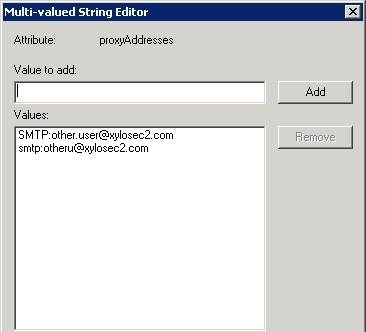 Do not configure static IP addresses, not even one that matches the IP that was assigned. You should be aware that if your virtual machine were to fail (e.g. because of host failure), the same IP will be assigned although the MAC address will change. Although you have always learnt to assign a static IP to a DC, forget about that now. Use the DHCP assigned address as stated earlier. 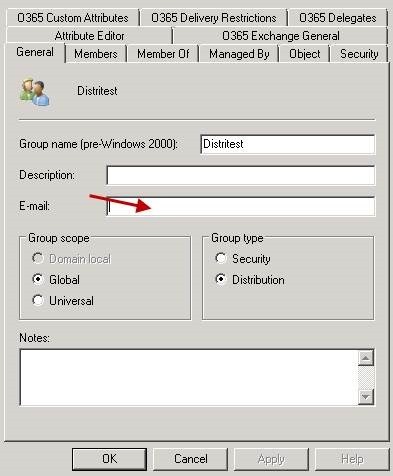 Do not place the Active Directory DIT, logs and SYSVOL on the operating system disk but on an attached data disk. Data disks do not use “write-behind” caching it seems. Windows Azure today does not use Hyper-V 3 so the new VMgenerationID stuff in Windows Server 2012 is not supported. 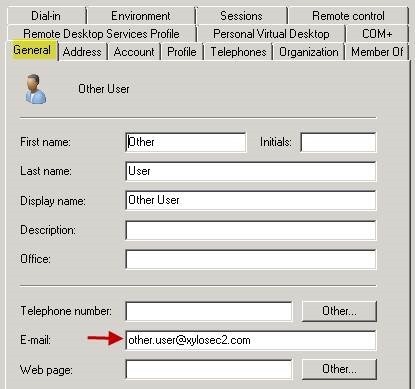 Connecting to virtual machines using RDP and the concept of the cloud service and port mapping makes it easier to connect to virtual machines in a private virtual network. In EC2 you have to set this up yourself or use a Terminal Services gateway. Virtual machines seem to have the ability to connect to the Internet by default. In EC2 you need to assign an elastic IP or use some gateway solution inside the virtual private container. It is relatively easy to get started. The EC2 learning curve is a bit higher but there are more options as well so that evens it out.